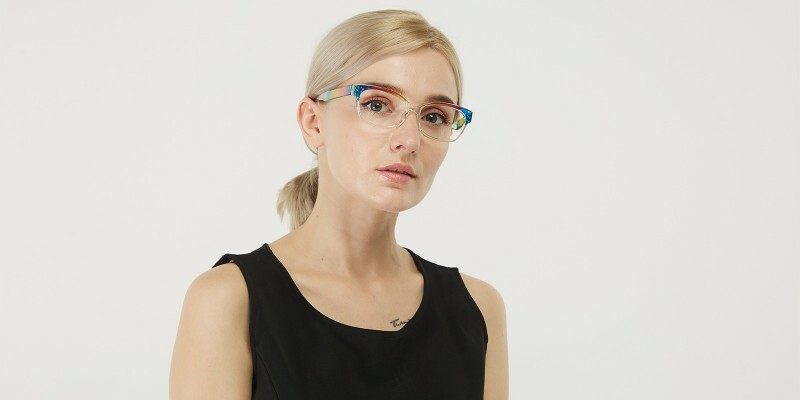 Glassesshop Fancy Rectangle eyeglasses are made of polished and refreshingly bright tr90 material.Coming with multicolour and transparent design. 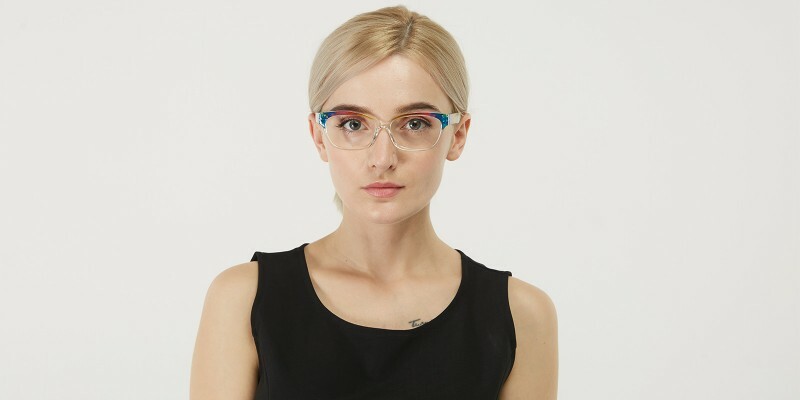 They are only 13.1g and rectangle frame are suit for women in office or at home.It is a good choice for an afford eyeglasses.Computer eyeglasses and reading eyeglasses both are available. 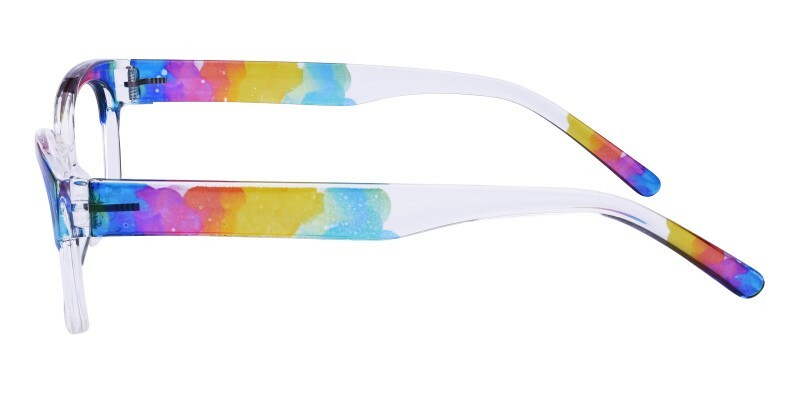 Absolutely amazing glasses! 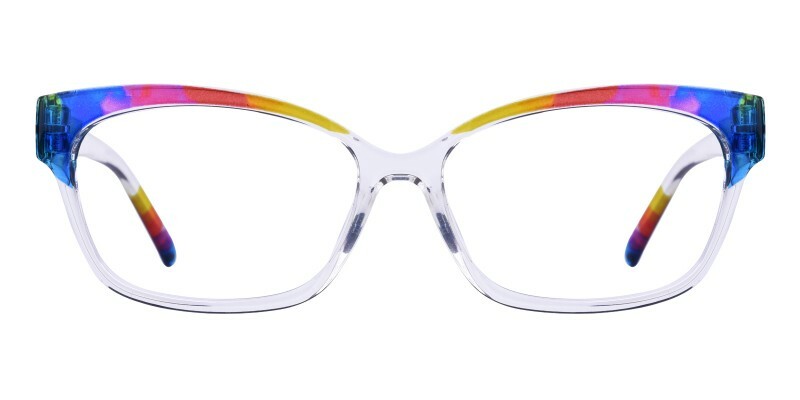 Very lightweight and comfortable, and colorful in the best way possible. Who doesn't love rainbows? 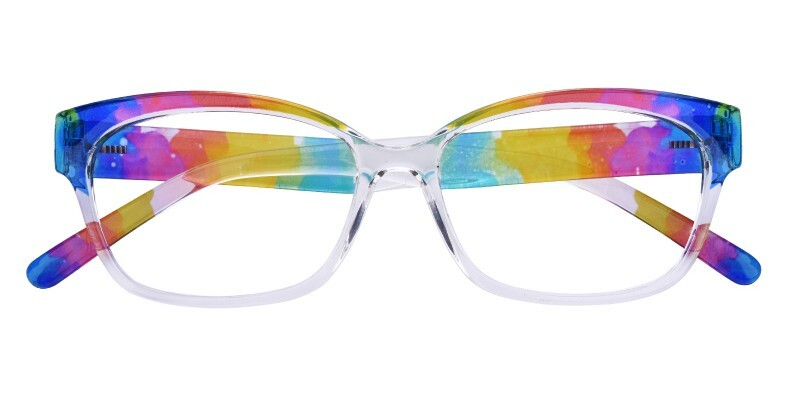 Such amazing glasses!! They are by far the sturdiest frames I have gotten from here. They are also very lightweight. I have received nothing but compliments since the second I opened the package. 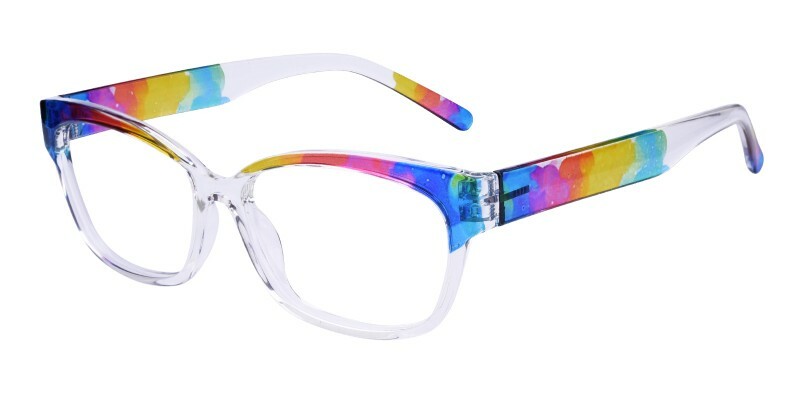 The model pictures under the Description are 100% accurate in both size as well as the subtle suggestion that the frames look better with eyeliner due to their very clear nature.